Join us on the banks of the Breede River at our exclusive lodge for your year-end function. We are located in the heart of South Africa’s beautiful Breede Valley wine region, only 90 minutes from Cape Town. Our River Lodge and Conference Facility aims to provide you with an unforgettable experience as you enjoy the tranquillity of the river and its surrounding spectacular mountains. Whether it is on or off the river, we offer a variety of fun activities for your corporate group. 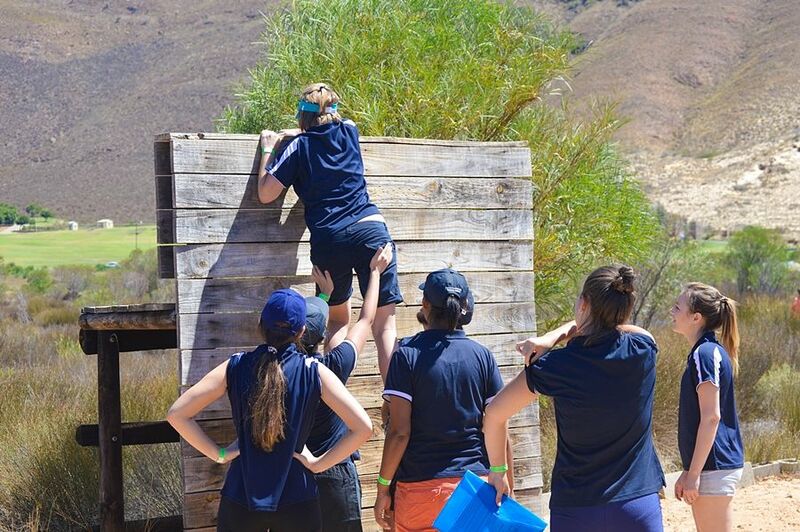 Our team building games and activities will ensure all guests have a great time, as your team builds morale in the outdoors. Our intimate conference room provides a rustic setting with its high thatch ceiling and tall glass doors, providing your team with a comfortable environment to meet in. We have a fully licensed cash bar. Send us an email or give us a call to discuss your requirements. We can tailor make a special package to suit your specific needs.